Charlotte Prepares For The Robot Apocalypse With Big Data Reviewed by Kris Engelhart on October 29, 2018 . Artificial Intelligence and futuristic visions of robots have long been a hot topic amongst the science fiction community. As humans, we can’t help but wonder what the future may hold and how our lives may change. Over the years, the entertainment industry has cashed in on our desired to see what lies ahead, giving us the lovable robot Rosie from the classic cartoon The Jetsons and Disney’s adventurous Wall-E. Of course, not all visions of a robot society are as adorable and endearing as those characters. Some are downright evil and scary as we found out with Arnold Schwarzenegger’s The Terminator and some make us question the reality of our own existence as seen in the simulated reality of The Matrix. Producer Alan Wilkis brings these concepts to the world of music with his electronic project Big Data. Big Data is an indie-tronic or electro-pop band that delves into the relationship between man and machine and how an ever expanding world of technology is affecting the human experience. 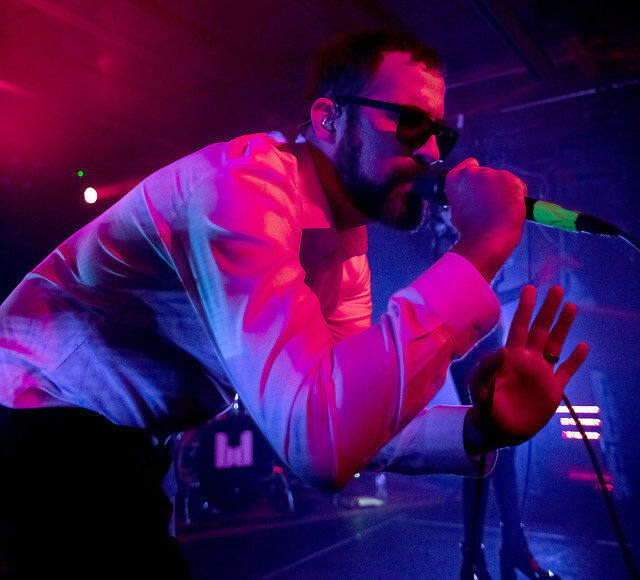 His first EP 1.0 spawned the hit single “Dangerous” which featured the band Joywave and rose all the way to number one on the Billboard Alternative Chart. 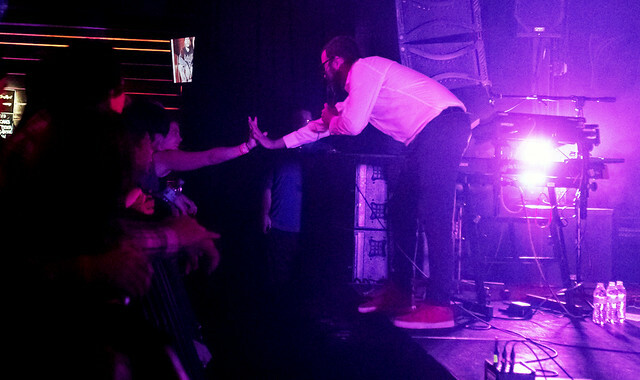 In fact, the song was so popular that Big Data released two more EPs, 1.5 in December of 2013 and 1.6 in September of 2014, solely containing remixes of “Dangerous.” This past Saturday evening Big Data shared his manifestations for the future with an enthusiastic crowd at the Underground Charlotte. It was the weekend before Halloween and a perfect evening to not only catch a show, but to take in some of the strange and unusual offerings that Big Data was bound to unleash. 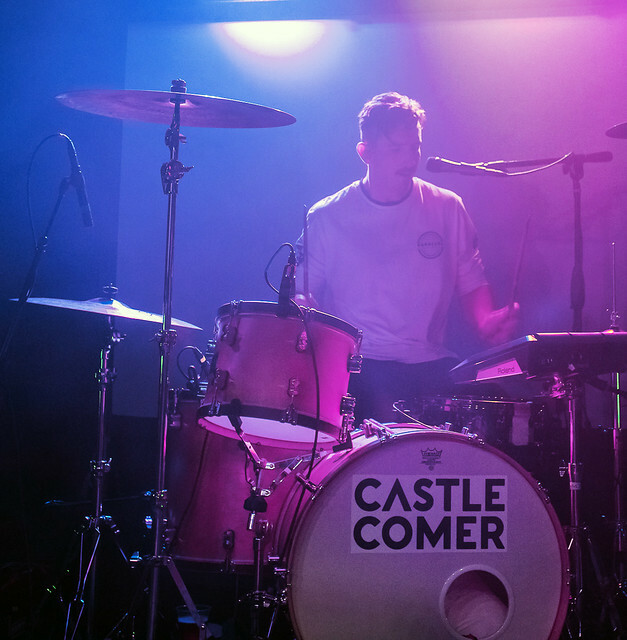 Before the main act, fans were treated to a fun set by the up and coming alternative pop of Castlecomer. Originally hailing from Sydney, Australia, the five piece outfit ventured to the U.S. in 2017 and made their way to the music mecca of Nashville this year. Named after a coal mining village in Ireland from which their families emigrated, Castlecomer consists of the Kennedy cousins, two of which are brothers, and a close family friend, Joe Neely. 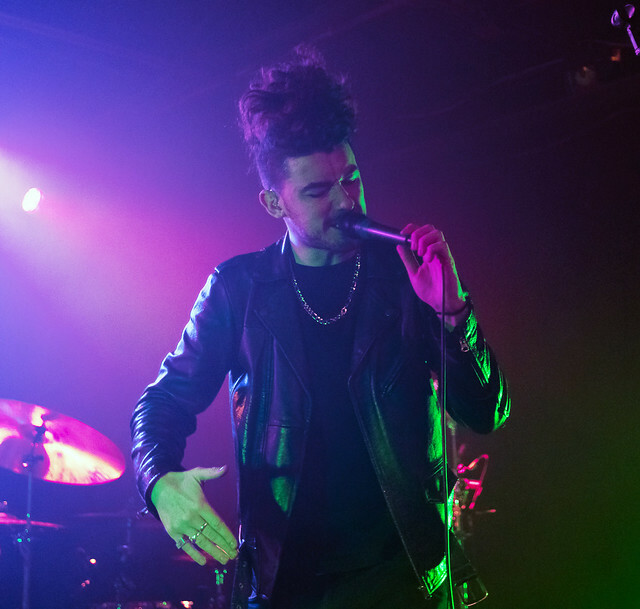 The band made a huge splash last year at the SXSW festival where they played eight shows in three days, walking away from the experience with not only a record deal but management, publishing, and a booking agent as well. Earlier this month, they released their self-titled debut album and their first official single “Fire Alarm,” which has already garnered over 6 million streams on Spotify alone. 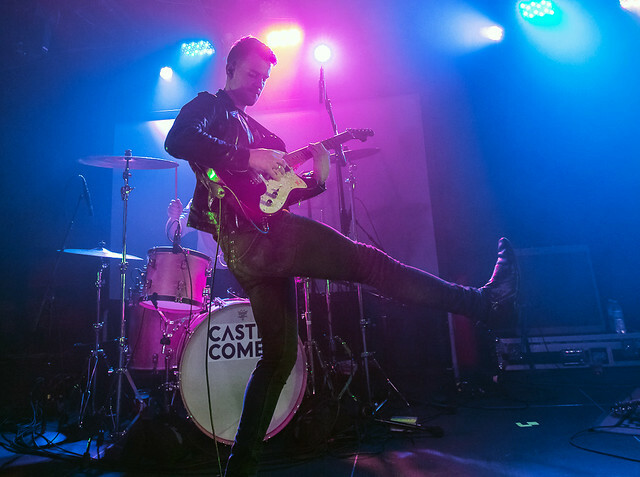 Hitting the stage hard, Castlecomer kicked things off in top form with charismatic frontman Bede Kennedy leading the way. They’ve got a great danceable sound that was easy and fun to listen to. All the band members are classically trained musicians with influences that cover everything from the Beatles to Stevie Wonder and the Strokes with an onstage rapport that comes from playing together for years. Lead guitarist Tommy Kennedy was a standout as he kicked his way all over the stage, never missing a note. Bede got the crowd involved early on as he asked the audience if he was pronouncing Charlotte correctly and joked how shocked he was to see Donald Trump and Paris Hilton walking down the street, explaining that they don’t celebrate Halloween in Australia. He also took the time to acknowledge two fans up front, Raphael and Cathy, who drove over three hours to see Castlecomer play. The highlight of their set had the crowd literally getting down on the floor before jumping in unison for a track that Bede said was the only one that someone may have heard before, “Fire Alarm.” It was an enjoyable and spirited performance that not only won over the crowd, but myself as well. I’m always excited to see and hear something new and different and Castlecomer’s melodic hooks and infectious beats made a fan out of me. As the lights came on for the requisite intermission, a portable video screen was rolled onto the stage in preparation for the headlining act, Big Data. When the lights dimmed, the screen displayed an animated Big Data head as the band came out and quickly got things going. Wilkis was at the front of the screen moving down front to greet the fans before jumping and dancing at will. Accompanying him was drummer Gunnar Olsen who was situated in the rear corner of the stage in complete darkness and a female vocalist dressed in a Catwoman type bodysuit, who later was introduced as the human voice, L1ZY (Lizzy). The two took turns vocally and danced in unison with various robotic moves throughout the night. 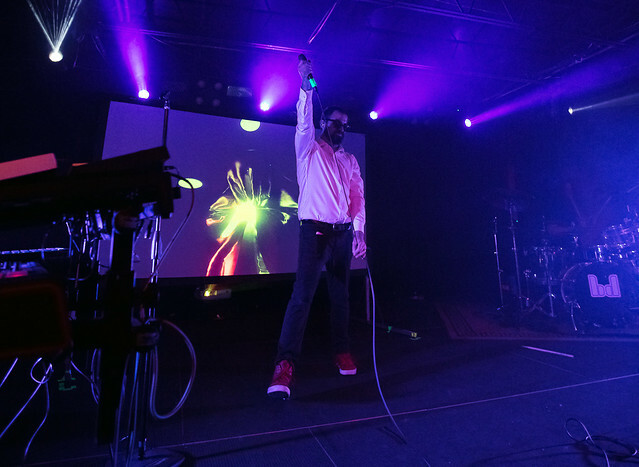 Big Data took a seat behind his keyboards for a new song “Slay,” off of his upcoming 3.0 album, adding a fresh sonic flourish to the electronic rhythms. 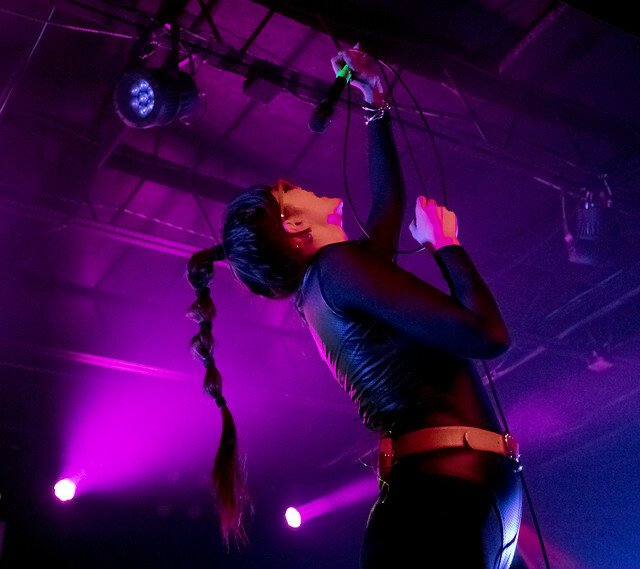 L1ZY is an accomplished vocalist with a surprising range that resonated across the venue. Big Data seemed to possess an unlimited supply of energy as the images on the video screen changed behind him. At one point, the screen turned to a Meme of Dreams with popular internet memes displayed as Wilkis urged the crowd not to look away. Another interesting adventure occurred where Big Data asked the audience to recite a type of pledge, surrendering all their data to Big Data. A highlight of the evening was an electronic cover of “Private Eyes” by Hall and Oates and of course, the set closer “Dangerous” which had the fans up and dancing. It definitely was not a typical night at the Underground as Big Data brought something unique and different, a perfect companion to a wild and crazy Halloween weekend. If you’re up for something unusual, be sure to check out Big Data and Castlecomer when they make a stop in a town near you.